It looks alright but the thing is Doom's default skies were not meant for use as a skybox mainly because the technology wasn't possible yet. 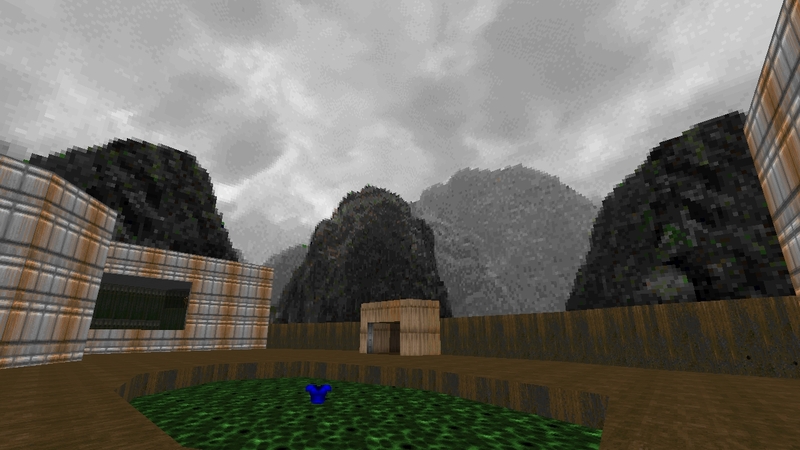 In those shots, really the standard texture in GZDoom looks pretty much the same except for the tops. 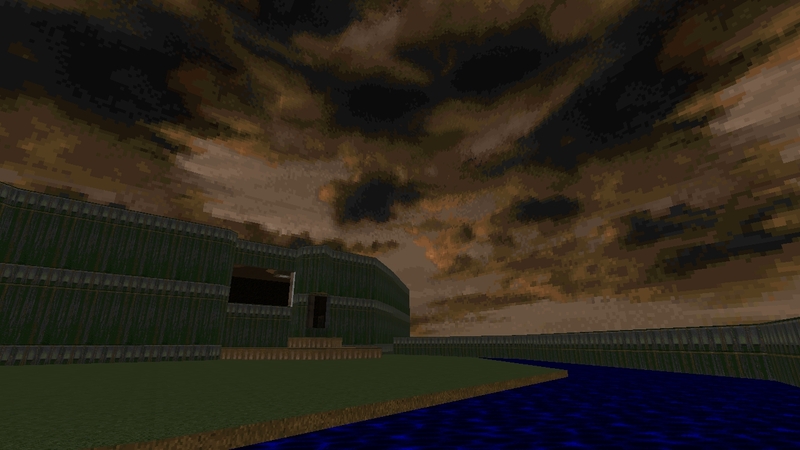 Not hating, just saying Doom's default skies don't look much better as a skybox than they do as a plain texture. 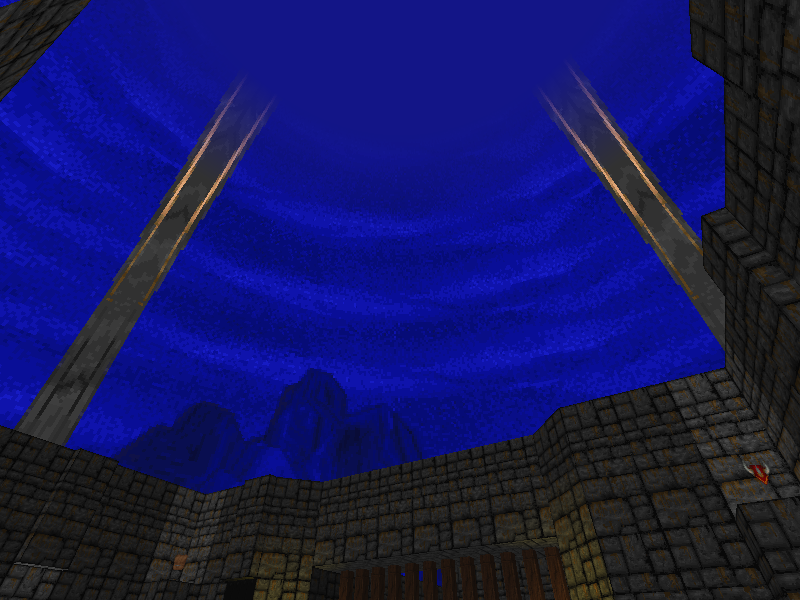 They look way better without that circular void that you get with plain sky textures in GzDoom. That clipping in the last shot, though. This makes the stock skies look infinitely better in GL mode, great little patch! How long did this take? Looks amazing! Wait so did you make these yourself? Like the top part and the bottom part. And how do you make these? 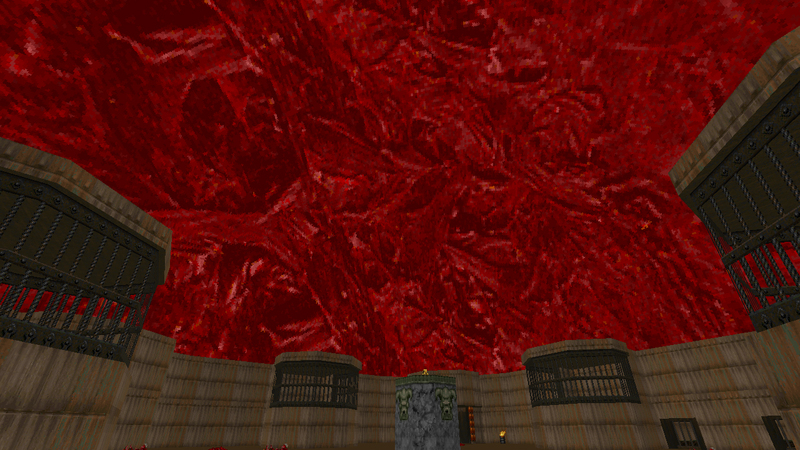 You may indeed check that skybox clipping in the Doom II skybox seen on the last screenshot. Other than that, it's a great project. Reminds me of what Fox released for Duke3D/EDuke32 on October 1. 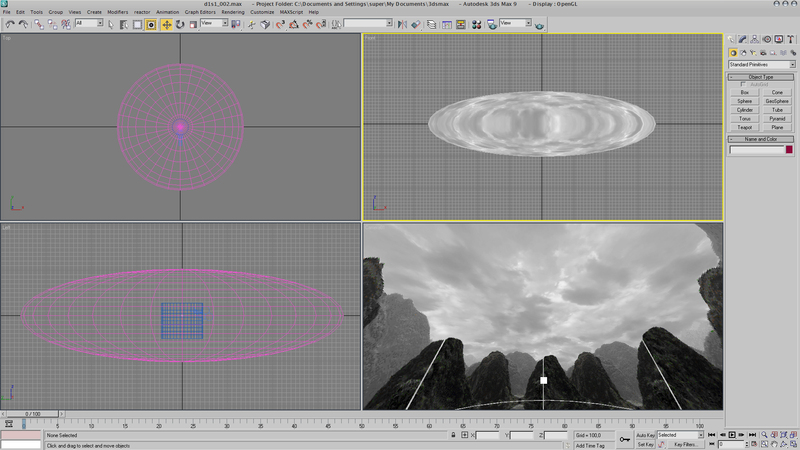 I make skyboxes in 3D Max. Default skies + new clouds. 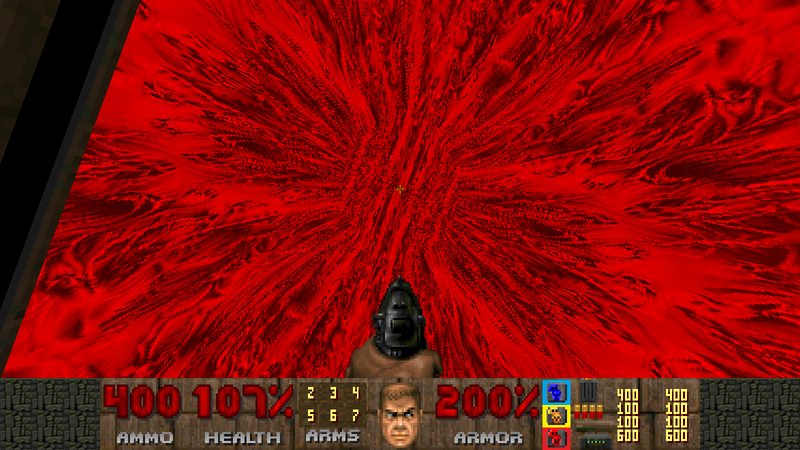 You may indeed check that skybox clipping in the Doom II skybox seen on the last screenshot. Where clipping? I don't understand. Reminds me of what Fox released for Duke3D/EDuke32 on October 1. Wow, this is beautiful, E4 sky especially. 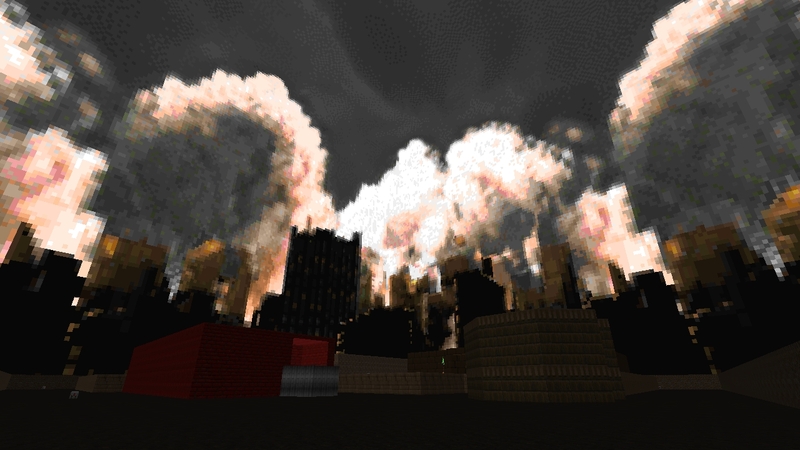 But DOOM2's E3 sky doesn't look proper when you look at it's bottom. 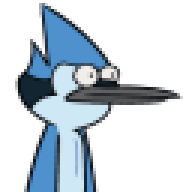 Looks to me you're not using the hardware renderer. But that's the only sky that has this problem. Looks to me he is using the hardware renderer. Otherwise he couldn't look directly down the way he does, the wall/texture on the screenshot's left side couldn't be inclined the way it is, and the sky wouldn't be rendered the way it is. Okay you got me there. But, are you sure that's the bottom and not the top? 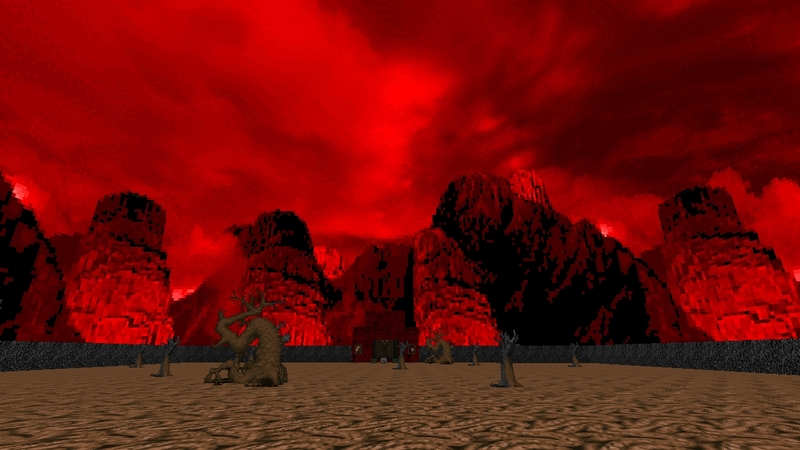 I thought the bottom part of Doom 2 E3's sky was mountains? 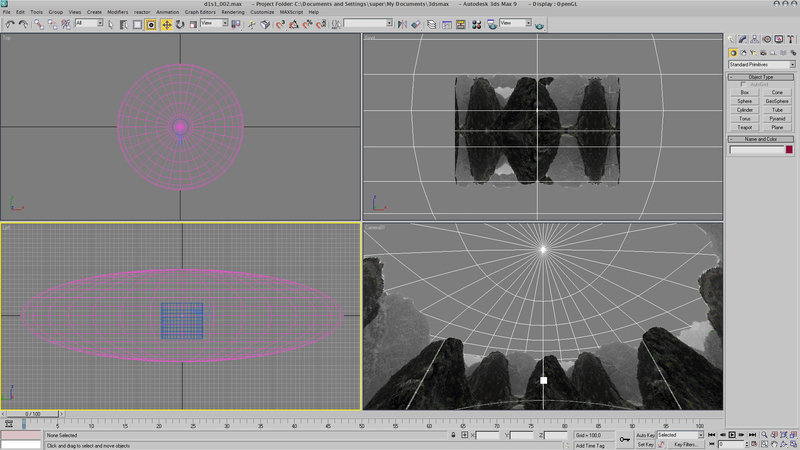 The lower sky graphic is mirrored upside-down, so the sky continues downwards instead of mountains. There are maps that use that, having the hell sky on the floor of the exit. 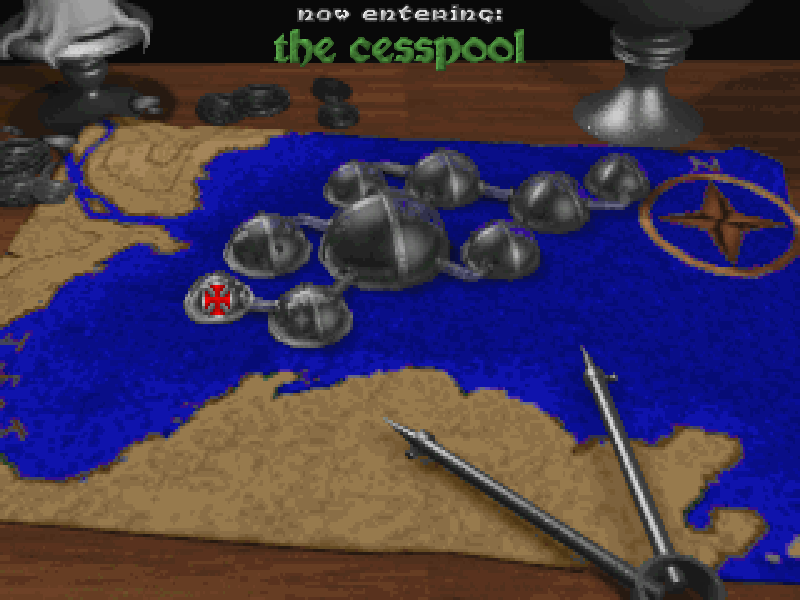 Added WADs for Plutonia and TNT and PK3 for all Dooms. Added Plutonia and TNT WADs and PK3 for all Dooms. These are a definite keeper. Any chance of doing the Heretic skies next? I'd really like to have a proper skybox for the Heretic E3 sky (the undersea domes) in particular. I think default Heretic skies look not bad. Oh my, that looks absolutely awful hahaha. To be fair, the paper-map in the intermission picture makes it seem like the domes must be enormous in size, so that just a little amount of fog could plausibly completely obscure the ceiling - maybe. But well, it doesn't make for a good view. Yeah, the current state looks fine if you figure it's an atmospheric effect. But it would be cool to see the arms actually joined up there.